This is a simple idea with a lot of pizzazz! And, if you happen to have a few pine trees in your neighborhood, the only expense is spray paint. I also like the idea of using a glitter spray paint on these for the holidays. Get all of the details and more pictures for this spray paint project over at tatertots & jello! 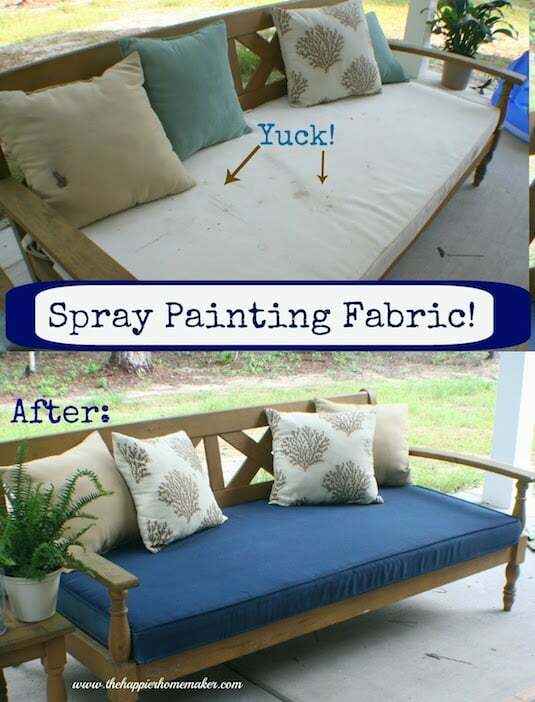 Hard to believe you can spray paint fabric, and then there is also the question of how long it will last, does it rub off on clothes, and does it smell, but I’ve heard great things about the results! You can see the instructions and tips for this project over at The Happier Homemaker, and Melissa also provides a link where you can purchase the paint. Remember these magnetic letters?! They were my favorite growing up, and I’m sure my mother just adored the bright letters all over the fridge. 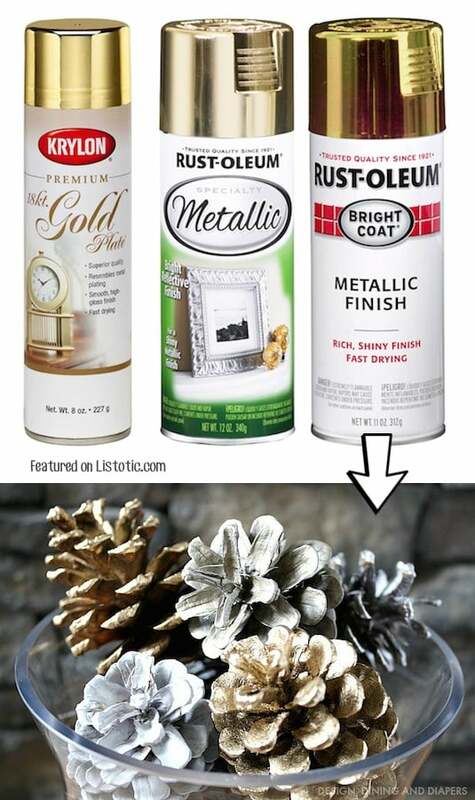 To fancy them up a bit, consider spray painting them in a metallic color. This way you can have a more adult-looking fridge or even magnetic wall for inspirational quotes or reminders. Go check out the instructions over at Inspired by Charm!